Having worked as an Architect for many years its always good to look at different methodologies and practices as they come up and to refresh your thinking on today’s Architecture practices. 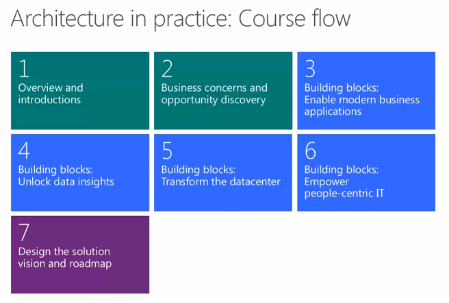 One of the recent additions to the Microsoft Virtual Academy is the “Architecture in Practice” course which brings Microsoft’s latest views on Architecture using their products as a base for some of the demonstrations and topics. 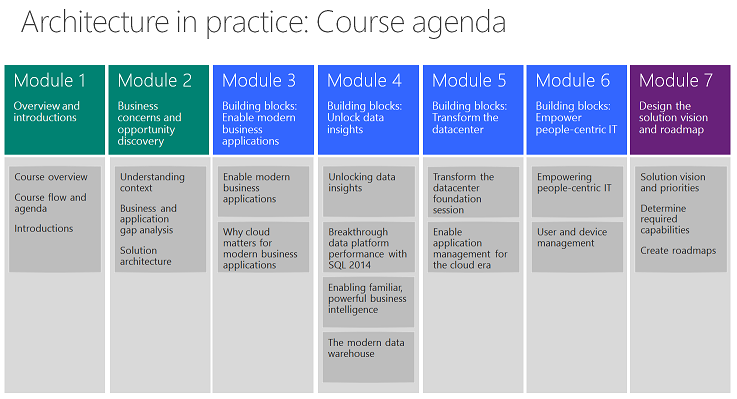 Whilst this centers around Microsoft products and standard practices, (to a seasoned architect may not teach them anything new in Architecture practices), taking a course such as this certainly refreshes that thinking in today’s challenging market place of cloud, visualisation and mobile. One of the underlying foundations that makes a great architect is their willingness to refreshing and renew skills and thinking when ever the opportunity arises. Source of pictures and link to the training: Architecture in Practice.